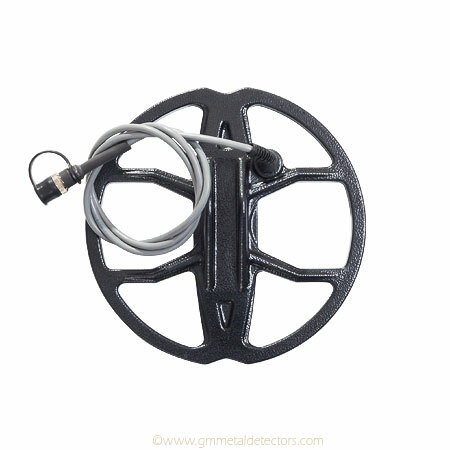 Medium sized 23 cm universal search coil for Golden Mask metal detectors. Double-frequency - 8 and 18 kHz coil that performs very well on coins, gold nuggets and relics. This coil separates perfectly good targets from trash, penetrating deeply in the ground. © 2015-2019 GM Metaldetectors Ltd. and GM Electronics Ltd.